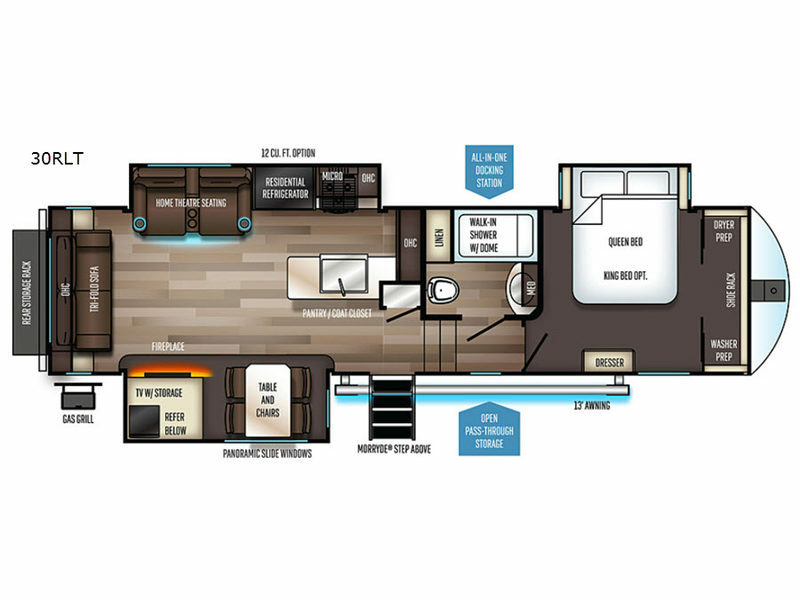 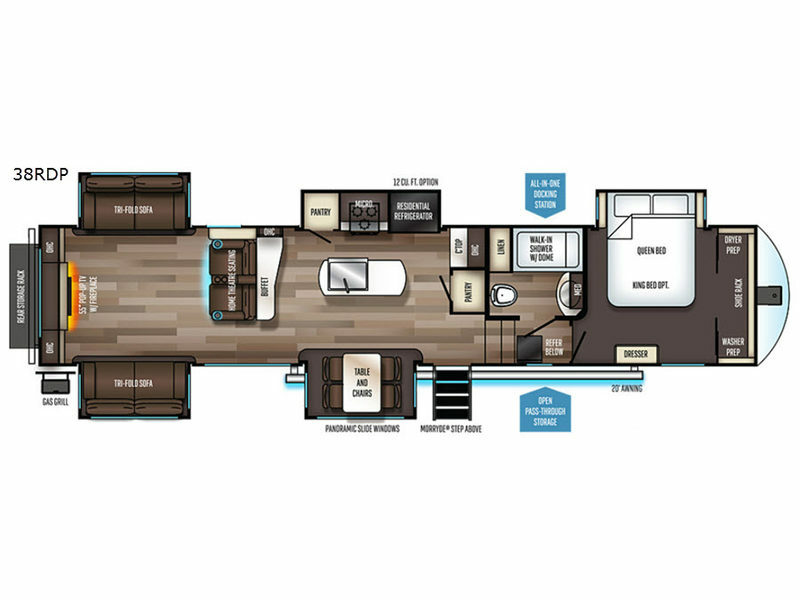 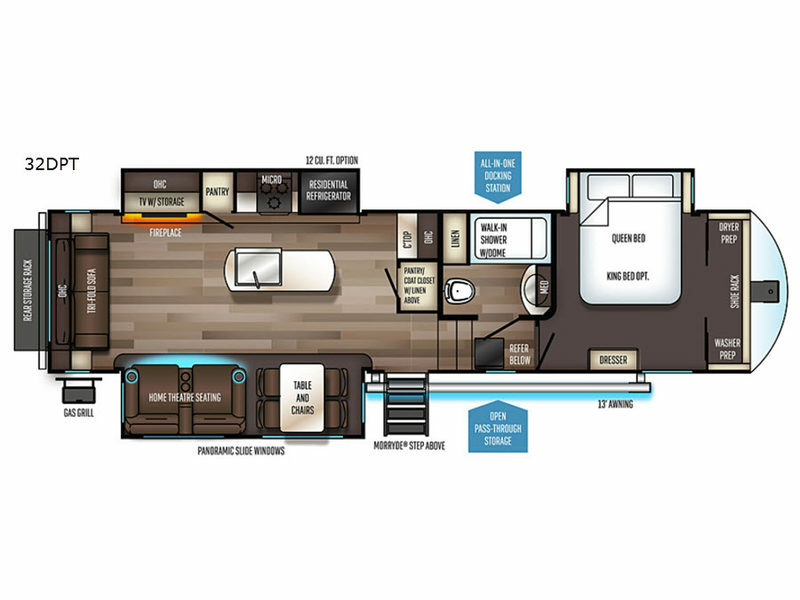 The Sabre fifth wheels by Forest River combine exterior desired features with luxury and style all at an affordable price point, and without sacrificing a thing! 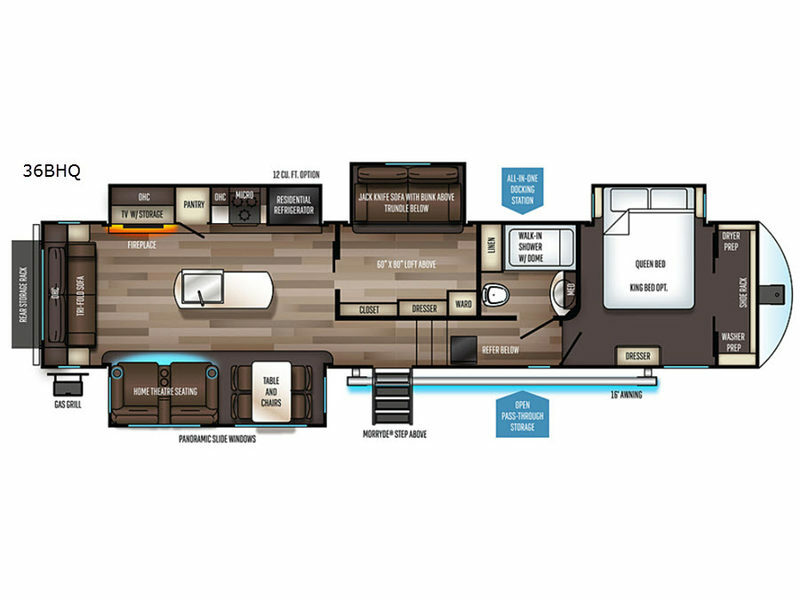 From the True-Sheen high gloss exterior, Generation III electric auto-leveling system, heated and enclosed gate valves and underbelly, solar power sourcing and rear view camera prepped, to the large panoramic slide windows, you can't go wrong with any floorplan. 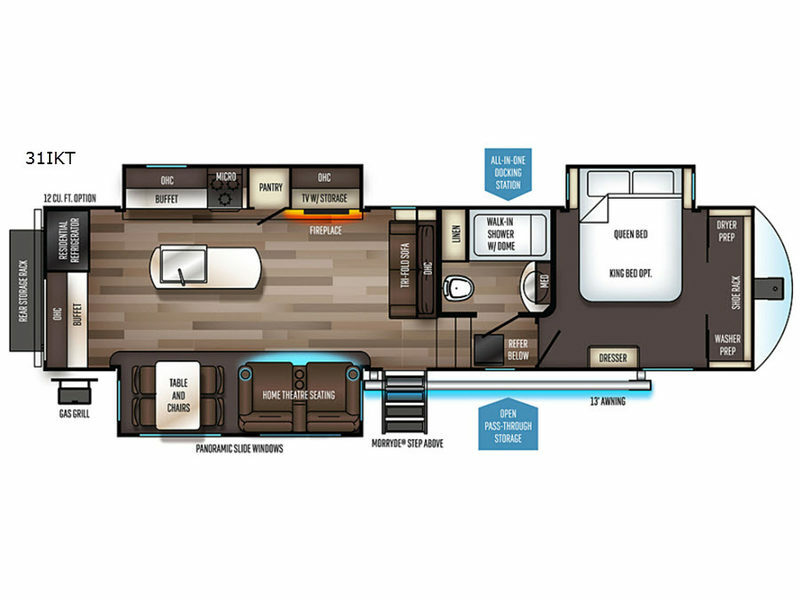 You have several packages to choose from and not all items are available on all models. 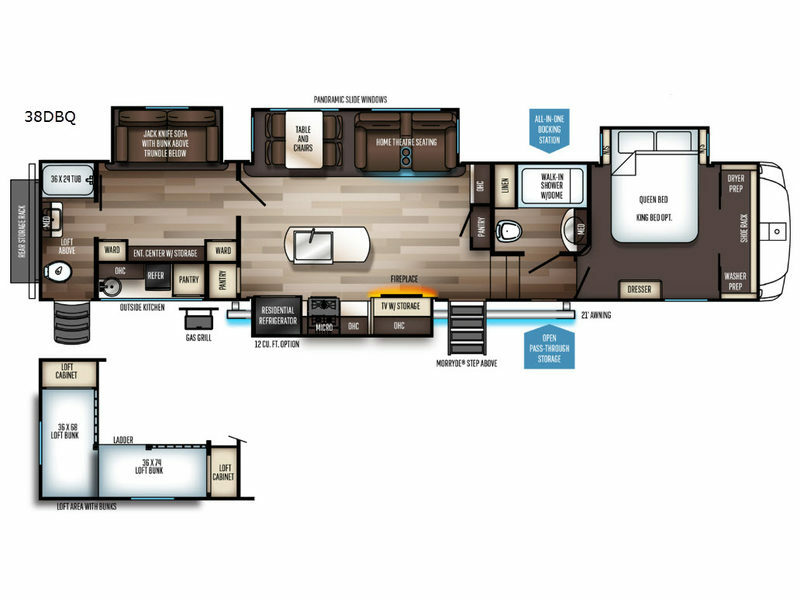 Seems like a simple choice now doesn't it....a bit of home like comforts and conveniences added too! 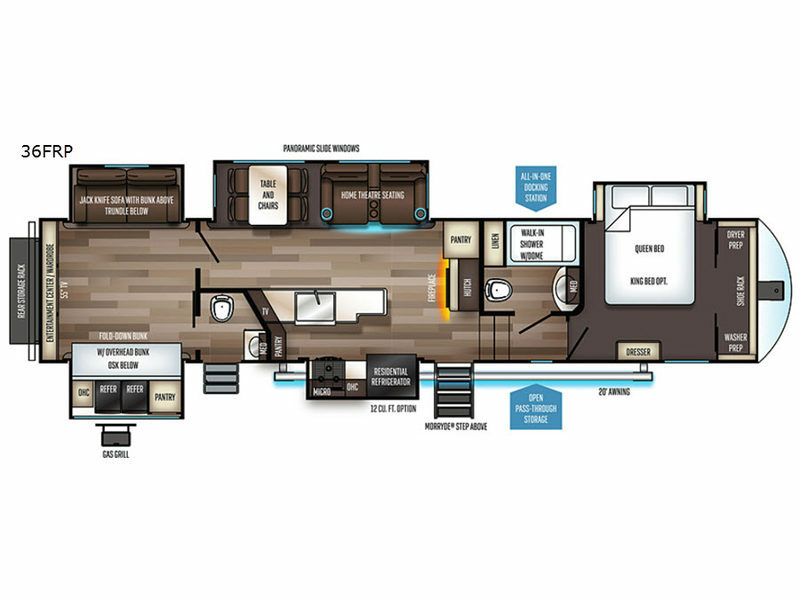 A new Sabre fifth wheel by Forest River would be my choice! 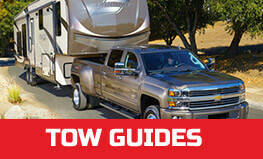 Come make it yours too, and select your new model today! 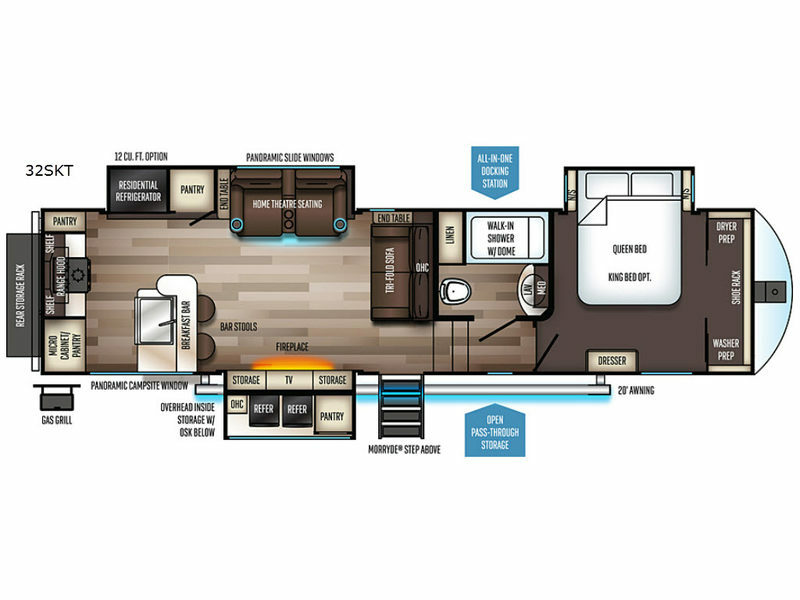 TV Info LR Residential Size LED, Bunkhouse 55"